Kash Data Consulting helped Threads of Hope Textiles, a Dallas non-profit, maximize their Google AdWords grant. 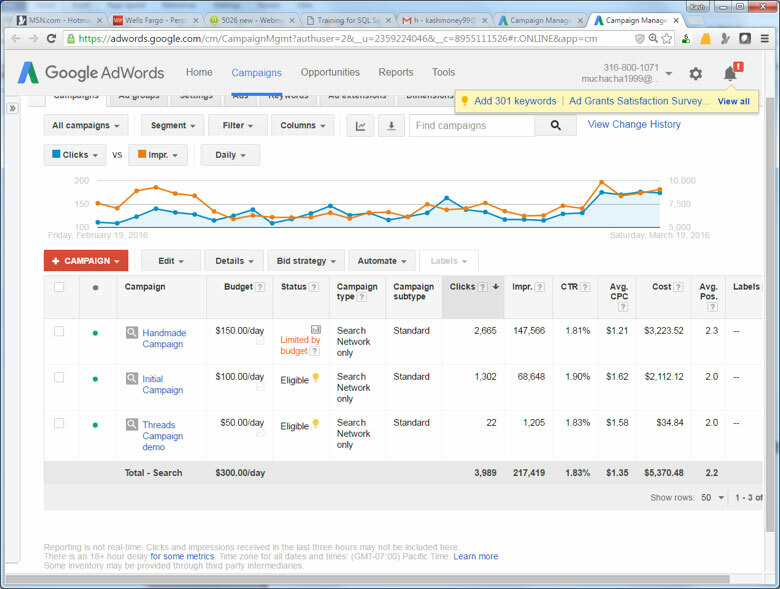 Threads of Hope Textiles AdWords report. Kash Data Consulting LLC. provided SEO and Adwords services for Kids Pediatric Dentistry in Allen, Texas. 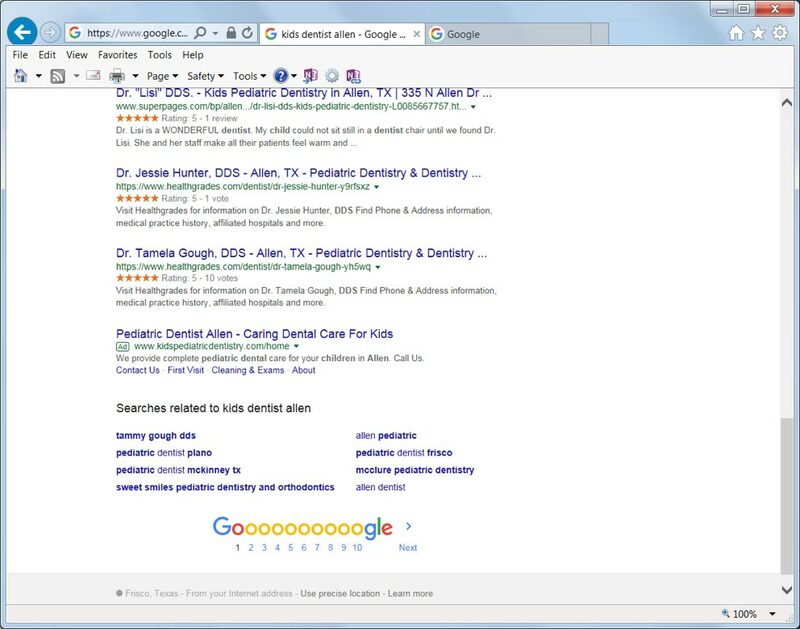 AdWords Ad on Page 1 of Google for the term "kids dentist allen". 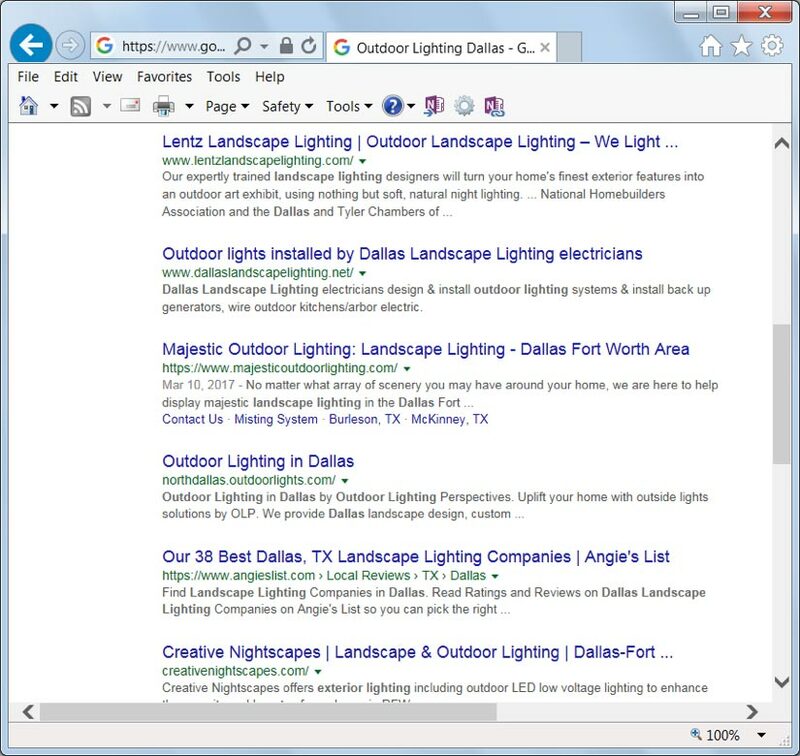 Kash Data Consulting LLC helped North Dallas Outdoor Lighting Perspectives with SEO to improve their search engine rankings. SEO Ranking on Google Page 1 for the term "outdoor lighting Dallas".